New York Rangers President and General Manager Glen Sather announced today that the club has agreed to terms with free agent forward Brandon Segal. Segal, 28, skated in 61 games with the Rockford IceHogs and Norfolk Admirals of the American Hockey League (AHL) last season, registering 18 goals and 18 assists for 36 points, along with 69 penalty minutes. He also skated in 10 games with the Tampa Bay Lightning, making his 100th career NHL appearance on March 29 at New Jersey. He began the season with Rockford, where he ranked fourth in goals (13) and seventh in points (25) at the time of his trade on February 21. Segal notched a goal while making his debut with Norfolk on February 24 at Binghamton. He registered 11 points (five goals, six assists) and a plus-eight rating in eight games with Norfolk. Brandon Segal has played more than 100 NHL games, including his most recent 10-game call-up to Tampa Bay near the end of the 2011-12 season. Segal tallied at least one point in seven of his eight games with the Admirals, including a two-goal effort on February 25 at Hershey and a career-high, four-point performance in the season finale on April 15 at Adirondack (one goal, three assists). In the postseason, Segal registered five goals and four assists for nine points, along with 17 penalty minutes and a plus-six rating in 18 games to capture the 2012 Calder Cup Championship with Norfolk. He tied for fourth on the team in goals and eighth in assists during postseason action. His five playoff goals also tied for eighth among all AHL skaters. The 6-2, 215-pounder has skated in 102 career regular season games over four seasons with the Tampa Bay Lightning, Los Angeles Kings and Dallas Stars, registering 11 goals and 11 assists for 22 points, along with 83 penalty minutes. He established career-highs in goals (six), assists (six) and points (12) in 2009-10 while splitting the season between Los Angeles and Dallas. 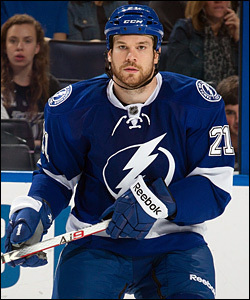 Segal made his NHL debut as a member of the Tampa Bay Lightning on March 3, 2009, against Pittsburgh. He recorded his first NHL point with an assist on December 31, 2009, at Minnesota and notched his first career goal on January 9, 2010, against St. Louis. Segal has also skated in 516 career AHL games with the Norfolk Admirals, Rockford IceHogs, Texas Stars, Manchester Monarchs, Portland Pirates, and Milwaukee Admirals, registering 125 goals and 119 assists for 244 points, along with 614 penalty minutes. He established AHL career-highs in goals (26), assists (26) and points (52) in 69 games with Norfolk in 2008-09, and was named to the 2009 Canadian AHL All-Star Team. The Richmond, British Columbia native was originally selected by Nashville as a fourth round choice, 102nd overall, in the 2002 NHL Entry Draft.